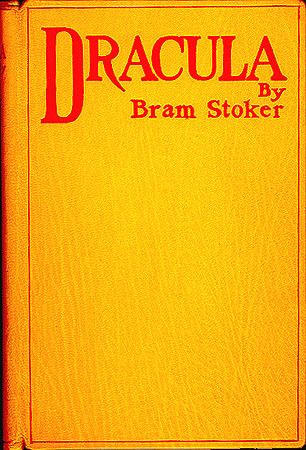 The first copies of the classic vampire novel ‘Dracula’, by Irish writer Bram Stoker, appear in London bookshops on this day in 1897. An invalid as a child, Stoker grew up to become a football star at Trinity College, Dublin. After graduation, he got a job in the civil service at Dublin Castle, where he worked for the next 10 years while writing drama reviews for the Dublin Mail on the side. In this way, Stoker met the well-respected actor Sir Henry Irving, who hired him as his manager. 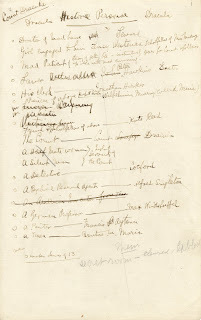 Stoker stayed in the post for most of the next three decades, writing Irving's voluminous correspondence for him and accompanying him on tours in the United States. Over the years, Stoker began writing a number of horror stories for magazines, and in 1890 he published his first novel, ‘The Snake's Pass’. Stoker would go on to publish 17 novels in all, but it was his 1897 novel ‘Dracula’ that eventually earned him literary fame and became known as a masterpiece of Victorian-era Gothic literature. 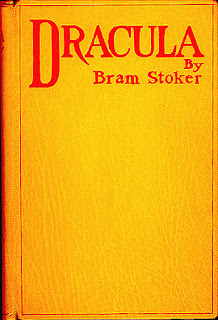 Written in the form of diaries and journals of its main characters, Dracula is the story of a vampire who makes his way from Transylvania – a region of Eastern Europe now in Romania – to Yorkshire, England, and preys on innocents there to get the blood he needs to live. Stoker had originally named the vampire "Count Wampyr." He found the name Dracula in a book on Wallachia and Moldavia written by retired diplomat William Wilkinson, which he borrowed from a Yorkshire public library during his family's vacations there. Vampires – who left their burial places at night to drink the blood of humans – were popular figures in folk tales from ancient times, but Stoker's novel catapulted them into the mainstream of 20th-century literature. Upon its release, ‘Dracula’ enjoyed moderate success, though when Stoker died in 1912 none of his obituaries even mentioned Dracula by name. Sales began to take off in the 1920s, when the novel was adapted for Broadway. Dracula mania kicked into even higher gear with Universal's blockbuster 1931 film, directed by Tod Browning and starring the Hungarian actor Bela Lugosi. Dozens of vampire-themed movies, television shows and literature followed, though Lugosi, with his exotic accent, remains the quintessential Count Dracula. Late 20th-century examples of the vampire craze include the bestselling novels of American writer Anne Rice and the cult hit TV series ‘Buffy the Vampire Slayer’. Los primeros ejemplares de la novela clásica de vampiros 'Drácula', del escritor irlandés Bram Stoker, aparecerá en las librerías de Londres en este día del 1897. Stoker que siempre fue un niño muy enfermizo, creció hasta convertirse en una de las estrellas del fútbol en el Trinity College de Dublín. Después de graduarse, consiguió un trabajo en el Castillo de Dublín, donde trabajó durante 10 años mientras escribía reseñas de teatro. 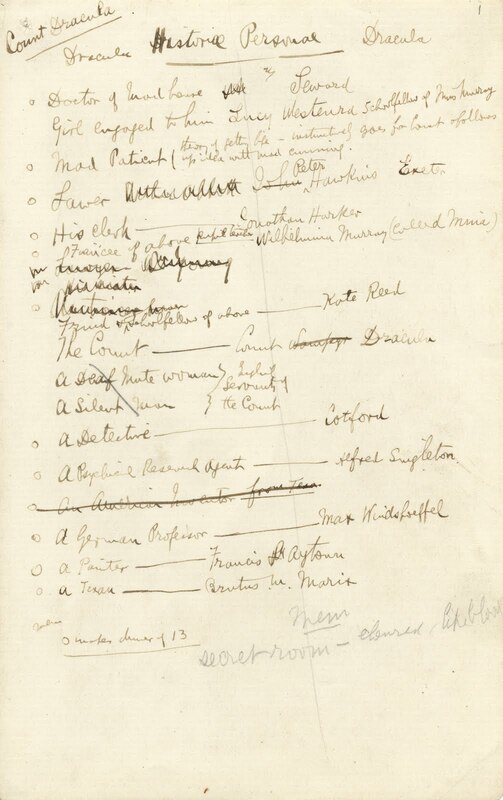 El actor Sir Henry Irving después de leer algunas de las obras de Stoker se reunió con él y lo contrató como manager. Stoker trabajó para Irving durante treinta años. Con los años, Stoker empezó a escribir una serie de historias de terror para revistas, y en 1890 publicó su primera novela, 'La serpiente de paso'. Stoker llegaría a publicar 17 novelas en total, pero fue 'Drácula' escrita en 1897 la que finalmente le valió la fama literaria y reconocimiento como una obra maestra de la era victoriana, la literatura gótica. Drácula esta escrita en forma de diarios y entrevistas de los personajes principales, es la historia de un vampiro que viaja de Transilvania (una región de Europa del Este ahora en Rumanía ) a Yorkshire, Inglaterra, y se alimenta bebiendo las sangres de las personas que va encontrando en su camino. Stoker llamó al vampiro "conde Wampyr", lo cambio al Encontrar el nombre de Drácula en un libro sobre Valaquia y Moldavia escrito por el ex diplomático William Wilkinson, que tomó prestado de una biblioteca pública de Yorkshire durante unas vacaciones allí. Los Vampiros siempre fueron personajes mitológicos de las mas antiguas tradiciones europeas, pero la novela de Stoker les catapultó a la corriente principal de la literatura del siglo 20. Tras su publicación, disfrutó de un éxito moderado. Las ventas comenzaron a despegar en la década de 1920, cuando la novela fue adaptada para Broadway. La Draculamanía comenzó con el éxito de la película de 1931, dirigida por Tod Browning y protagonizada por el actor húngaro Bela Lugosi. Luego se hicieron decenas de películas mas con la misma temática, aunque Lugosi, con su acento exótico, sigue siendo la quintaesencia del Conde Drácula. Ejemplo final del siglo 20 de la fiebre de los vampiros son las novelas superventas de la escritora norteamericana Anne Rice.